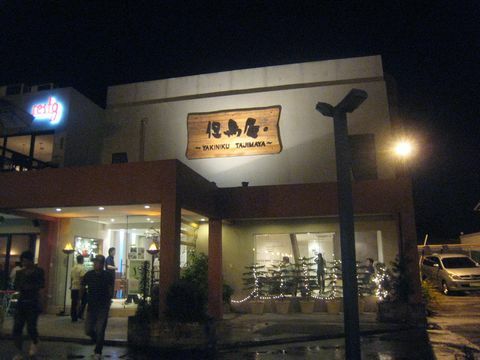 This Japanese Restaurant is located on A.S Fortuna Street where you can find some restaurants on this street. This street is called "Food Land" by local people becaues of the number of restaurants. 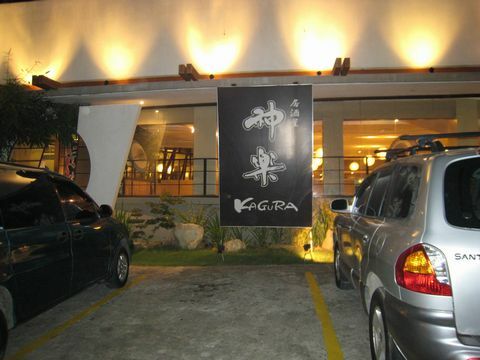 This picture is about inside KAGURA which is owned by Japanese. 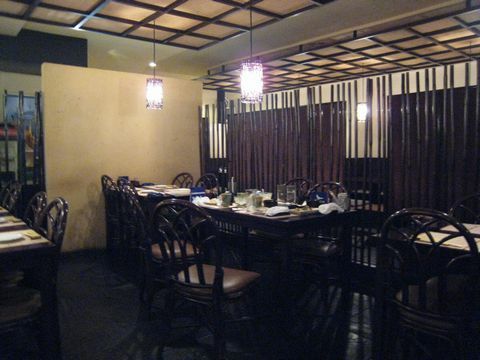 Inside the restaurant has good ambience like Japanese style, so you're able to have Japaese Food on bamboo mat. 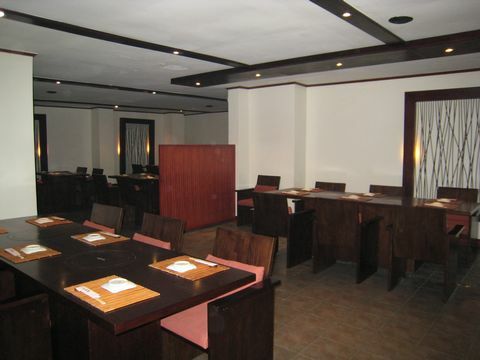 The restaurant provide you delicious Japanese cuisine and also this restaurant has Japanese SPA inside the restaurant, so if you wanna try it, just ask thier staff about it. I can recommend you to take a bath before eating delicious Japanese food here in KAGURA. 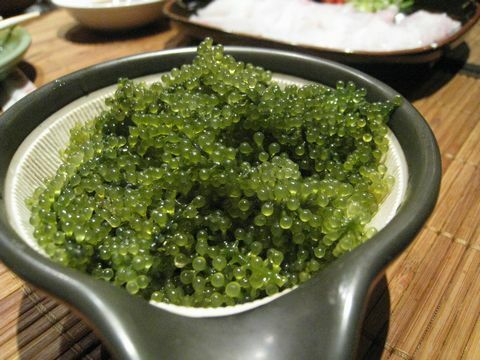 This is UMIBUDOU which is sea vegetable, it's kind a healthy food in Japan even it's strange to eat it. This food is really expensive in Japan, but here in KAGURA serve you reasonable price. 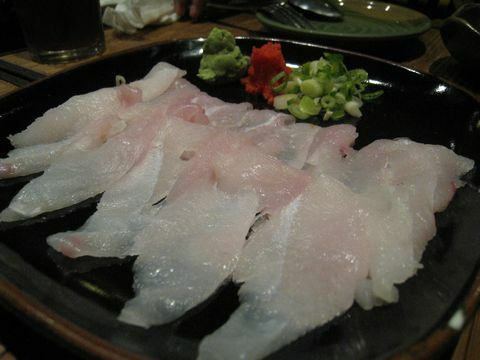 This is LAPU-LAPU Sashimi which is raw fish. 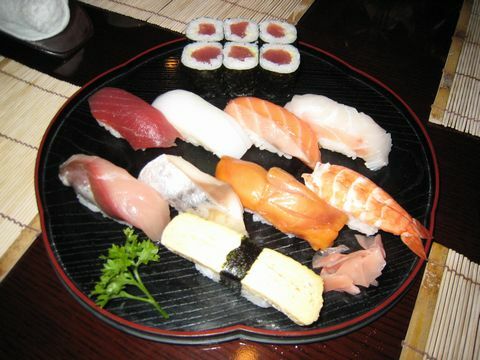 In Japan it's common to eat raw fish in our life, so you're able to know Japanese famous style. This fish is called "Lapu-lapu" is really high-class fish here in Philippines. And also you can try to taste it as a reasonable prices. The taste is like bream. 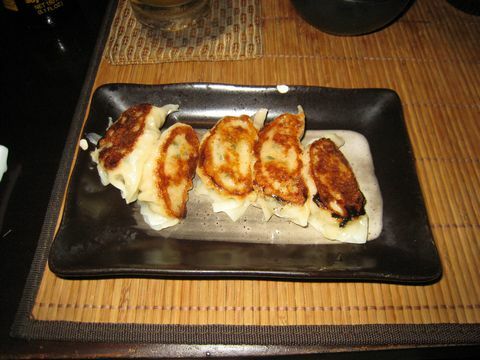 This is GYOZA which is loved by Japanese who like to drink beer at IZAKAYA. 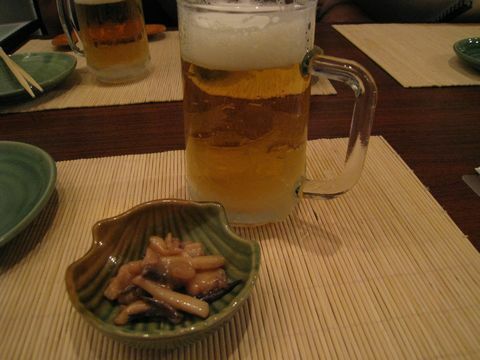 Most people like to order this food with beer, so the taste is suitable for beer lover. This is TORITEBAYAKI with sweet sauce, so it's good for you to eat order this food because of sweet flavor. 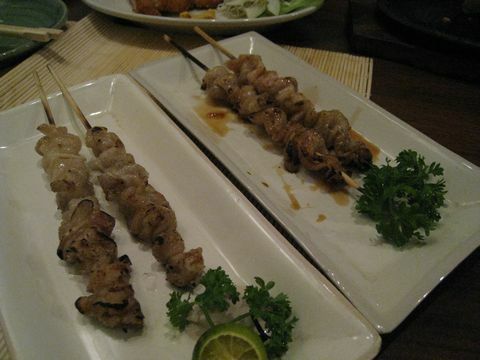 Actually I like this cuisine, so I can recommend you to have it. 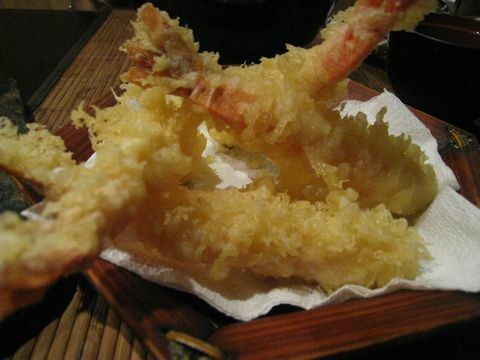 This is also famous food in Japan "EBI TEMPURA" which is like deep fried prawn. Of course you can order another TEMPURA which means Deep Fried, so you're able to eat deep fried vegetable, fish and etc. This cuisine has original sauce so it's much better to put grinded radish which makes the taste deliciously. This is MIXED KUSHI AGE which is also deep fried vegeatble, pork, fish and etc. 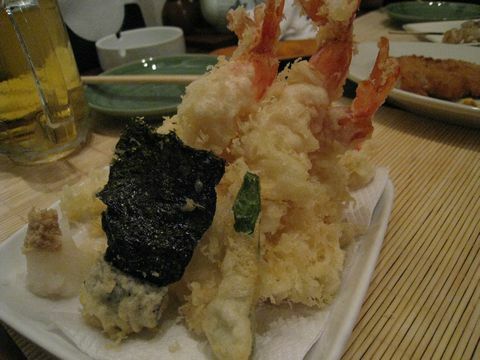 This cuisine are different from TEMPURA because of how to fry. This cuisine also has special sauce, so if you don't know the sauce...just ask their staff about it. 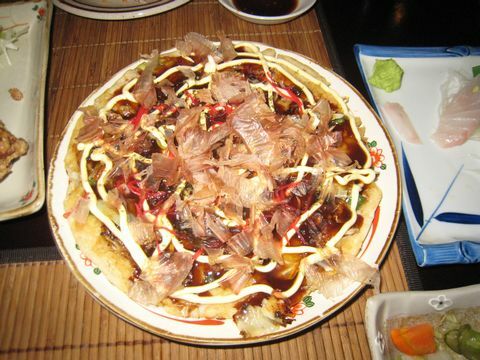 This is OKONOMIYAKI which is really famous especially in OSAKA. OSAKA is second largest city in Japan. And most people who live there are funny. They are very strict about the taste of OKONOMIYAKI, because it is from OSAKA. This is MISO-RAMEN(Noodle with MISO taste) which is liked by Japanese people and it's ok for you to make sounds when you eat it, that's is Japanese style. Not rude!! And of course there are many kind of taste Salt, Miso, Soy-sauce and more. 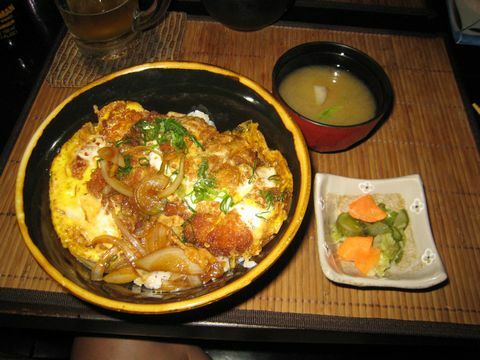 This is KASTU-DON which has deep fried pork with egg. 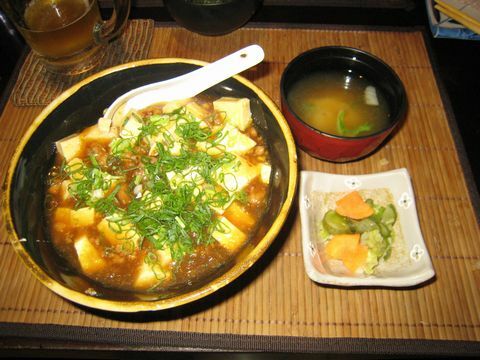 The taste is kind a sweet and it has side-dish "Miso Soup" and "Oshinko"(Pickled Vegetable). This is MAABOO-DON which has bean curds and sweet sauce, but it's too sweet, so I can't recommend you to order it. In Japan the taste is more spicy. This picture is about entertainer who sing some Japanese songs, even she is Filipina. I'm sure you'll be satisfied with her voice. 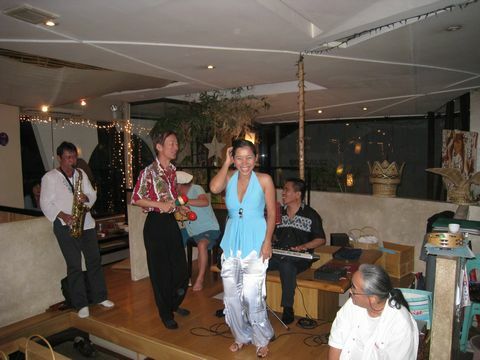 She is realy good at singing so I can recommend you to come here for dinner with hearing her beautiful voice. She sings songs every Saturday around 9 pm. This picture was taken when I had dinner at this restaurant. Actually we're friend!! When I stayed at Lubi-Resort which is located the south of Cebu, then we became a friend. By the way, KAGURA's staff are friendly and also they were good entertainer at that time. This restaurant has SPA inside the building, so you can take a bath and relax. I mean you're able to have two things in once for eating and relax in this restaurant. And you're able to use your notebook computer and can connect to the internet for free if your laptop has a wireless function. 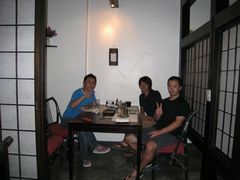 This is Japanese Restaurant which is located on AS Fourtuna st. I think, it's too easy for you to find this place because of this noticable sign board. 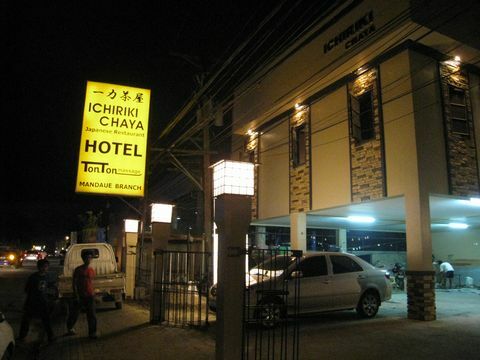 This is Japanese Restaurant "ICHIRIKICYAYA" which has really good ambience and also you'll be satisfied with their atomosphere. 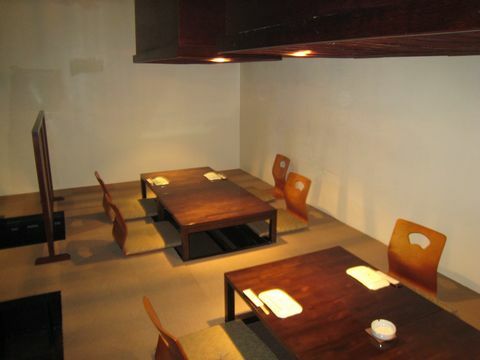 This is inside their restaurant on the 2nd floor, this style is genuine Japanese like low table and this kind of mat. We call it "Tatami". You'll be satisfied with inside their amazing atomosphere. 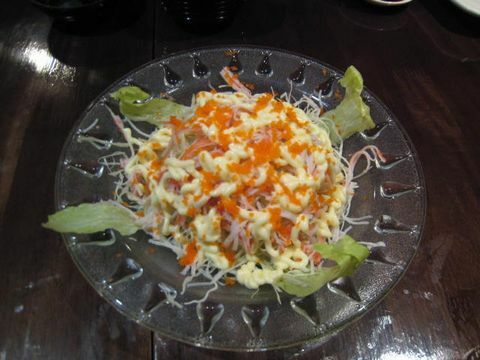 This is SALAD with Crab meat which is marinated with Mayonnaise. It was really delicious for me, as a result I can recommend you to order it. 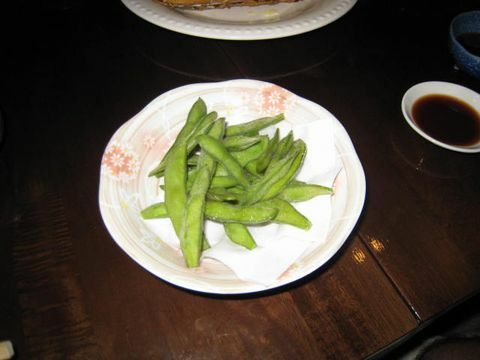 This is EDAMAME which is green soybeans. It's good to have it as a appetizer especially with beer. If you are beer lover..hahaha. 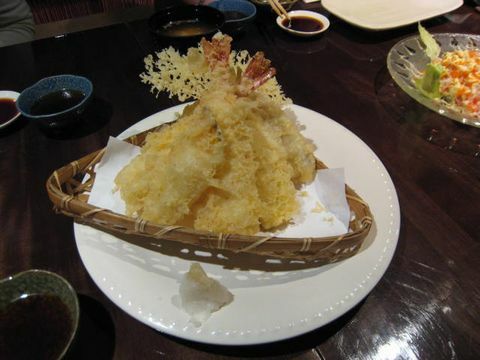 This is a famous Japanese dish "EBI TEMPURA" (deep fried prawn), it's much better to put special sauce before eating. This is really famous food in the world as a Japanese dish "SUSHI MORIAWASE MATSU" If you don't like this kind of raw fish, you just order another foods. In Japan we have many kinds of foods. 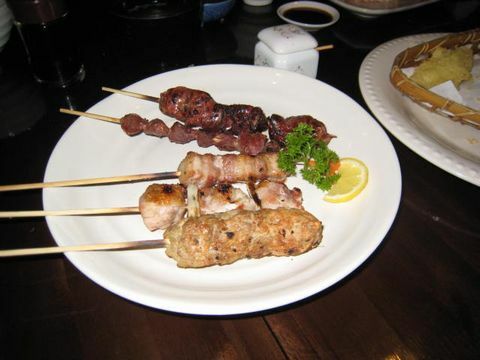 This is YAKITORI MORIAWASE which is really famous to order among businessman in Japan. You can choose that food's flavor between salt taste and Teriyaki sause. 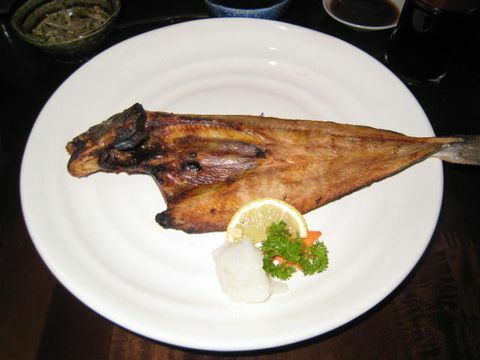 This is like grilled fish as a Japanese style which is also good for your health compared to beef, pork and chiken. 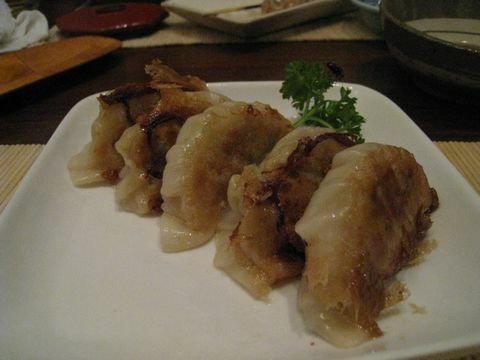 This is GYOZA which is good to order as a appetizer with beer. This is their room on the 1st floor which is also good to dine in for dinner. And this 1st floor has massage place, so if you feel tired from daily life, you just ask them to have massage after dinner. It's much better to ask them about massage before eating. 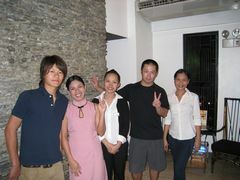 We really enjoyed having dinner with our friends from Russian, and it was two of them's farewell party this night. I always think about my experiences are terrific precious because of my friends and also acquaintances. If I didn't come here in Cebu for studying English, It was impossible to meet thses people. If you like to dine in this kind of Japanese restaurant with amazing atomosphere, I'd like you to visit this place with your friends and also your lover, of course with your family. I'm sure, you'll be satisfied with everything inside this restaurant and their staff. Location : #1 Paseo Saturnino, Maria Lusia Entrance Road, Banilad, Cebu City. This is Japanese restaurant GOKU which provides us delicious meals and reasonable prices, I'm sure you'll be satisfied with all and also you can taste Japanese foods. 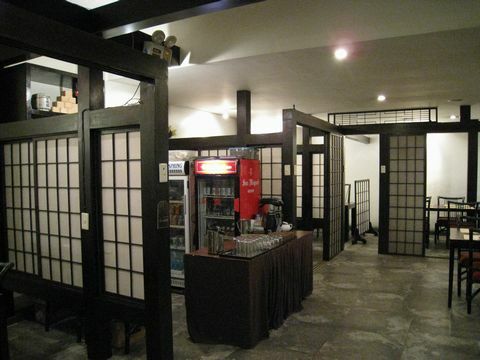 This is inside the restaurant which has terrfic genuine ambience of Japanese "Izakaya" it means drinking bar and serves lots of taste. 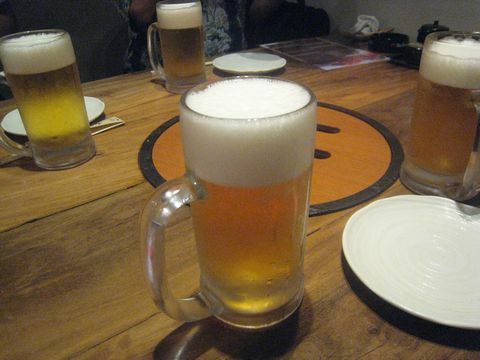 This is draft beer which is common to order amoung businessman in Japan. I'm a beer lover so I'm might addicted to beer...hahaha..,but it's ok for me. I can recommend you to drink especially beer here in Philippines Cebu because of prices. 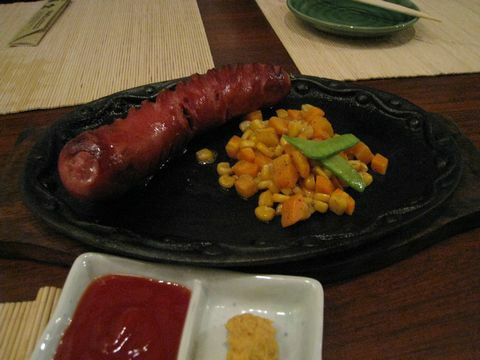 This is Sausage Teppanyaki which is the same as frankfurt sausage. It's good enough to order with your company. Don't touch the plate which is heated for keeping food warm. 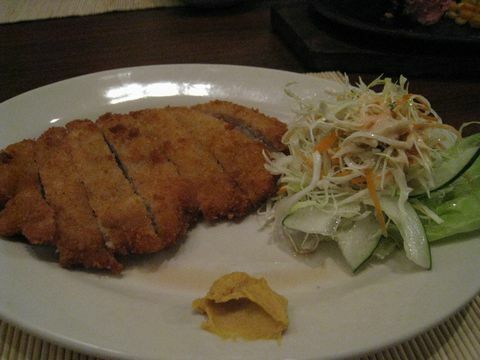 This is Tonkatsu which is deep fried pork with worcester sauce and if you like a little bit spicy, it's much better to put a mustard. This is Torikawa which you can choose the flavor between Tare and Salt taste. I can recommend you to order as a Tare taste if you like sweet flavor. This is Chikuwa Tempura which is fried ground fish as a Tempura(Tempura means deep fried), I can recommend you to order this one. 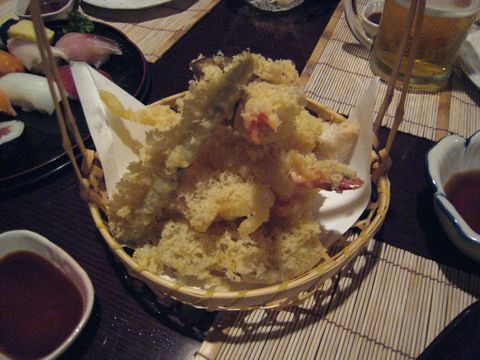 This is Ebi Tempura which is also famous Japanese traditional food. 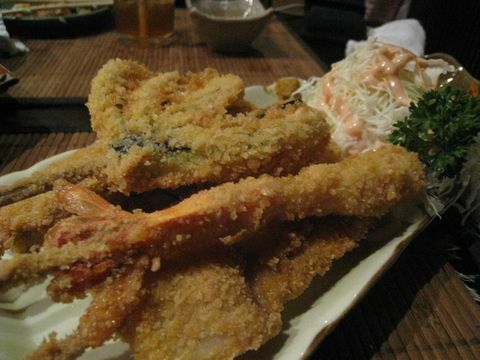 It is deep fried prawn. This is Gyoza which I like to order with Beer. The taste fits especially beer for me, so I can recommend you to have it. 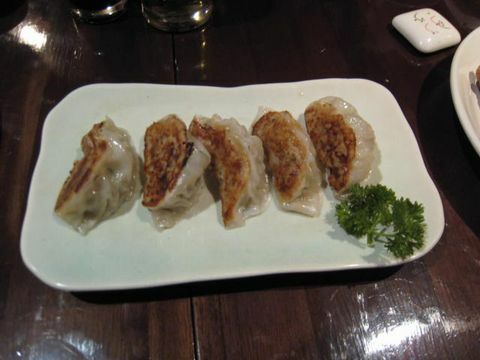 Gyoza includes mincemeat, minced cabbage, scallion, chinese chive, ginger and fresh egg. 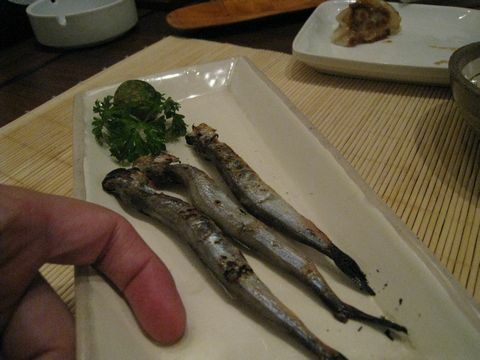 This is Sishamo which is grilled small fish. It's really good for your health and also delicious. This is Chawan-Mushi which is common to eat at the drinking party with employees in Japan as a apitizer. This is my favorite restaurant among all Japanese restaurants here in Cebu, because of reasonable prices and the taste is also great. 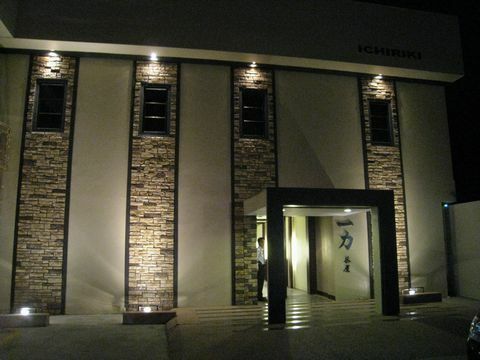 I'd like you to visit this restaurant when you visit Cebu and I want you to taste Japanese taste. This restaurant provides you lots of meals so you can enjoy choosing and tasting. 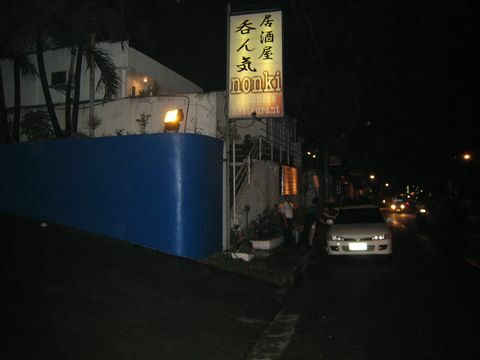 This is Japanese Restaurant Nonki which is main branch on AS Fourtuna st in Cebu.The restaurant has two more branches inside SM(shopping mall) and inside Sykes where you can try Japanese traditional foods. This is inside the restaurant which has good ambience and also it has vibrant atmosphere because of their hard workers. 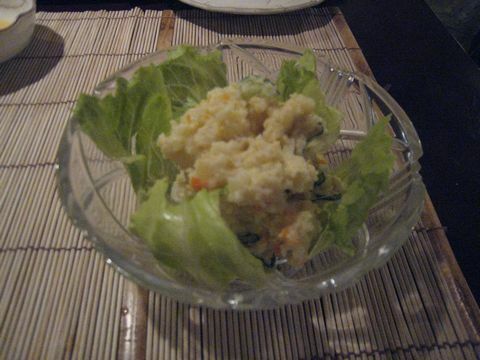 This is Potato Salad which is good to order as an appetizer. I like this taste because I'm a potato lover. This is JO NIGIRI SUSHI MORIAWASE which is loved by Japanese and also healthy so if you like raw fish, you just try it. You'll know Japanese taste with soy-sauce. plese don't put so much soy-sauce, it'll be salty. It's much better to put a little. 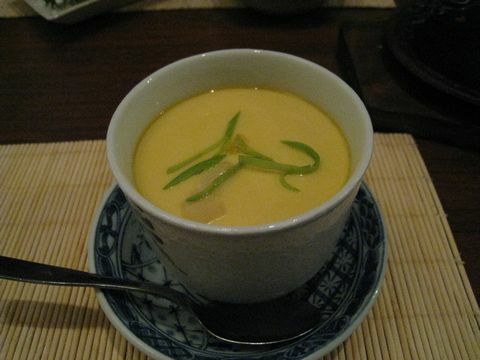 If you order it, you can taste Japanese soup"MISO SOUP" as a side-dish. 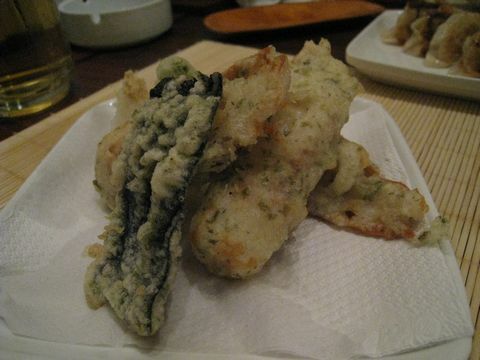 This is TEMPURA MORIAWASE which is also famous Japanese food furthermore, it's delicious and reasonable. Please put some special sauce "TEMTSUYU" not soy-sauce. It has some seasonable vegetables and prawns as a reasonable prices. It's much better to put some squashed redish in a TENTSUYU. That's a Japanese style. 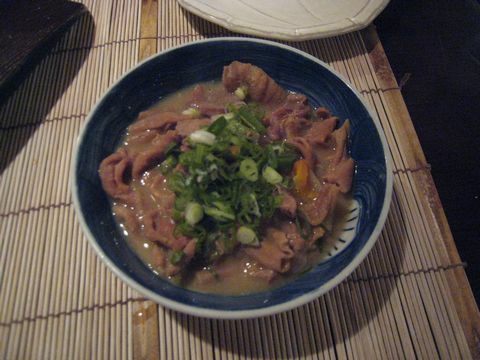 This is MOTSUNIKOMI which is strange food for foreigner except Japanese. We like it which is Stewed pork's internal organ. If you wanna try this kind of food or interesting, you just try it. This is Plain omelet which is common to have every morning in Japan. 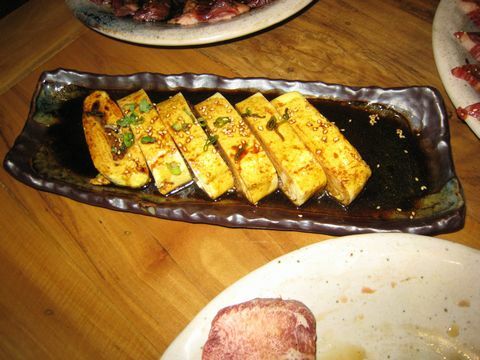 It's good to order as an appetizer and put a little soy-sauce. 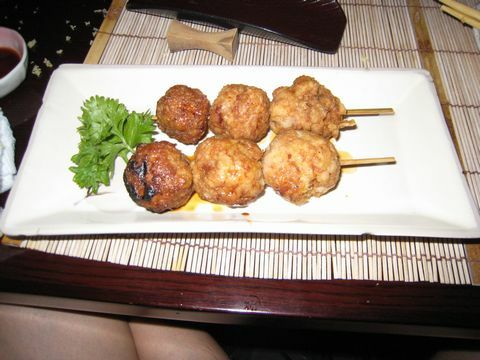 This is TSUKUNE which is also famous especially at Japanese IZAKAYA, it means like drinking-bar and restaurant. It's also good to order as an appetizer. this one with TARE which is sweet sauce so it's much better to oreder it as a TARE. 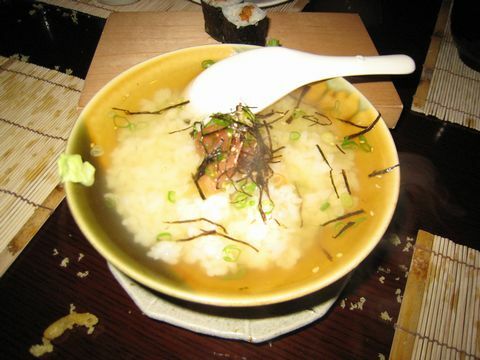 This is UME CYAZUKE which is famous to have it at the end in JAPAN. You can choose the flavor among UME(plum), NORI(laver), and SAKE(salmon). In my case, I always have it as a UME flavor. 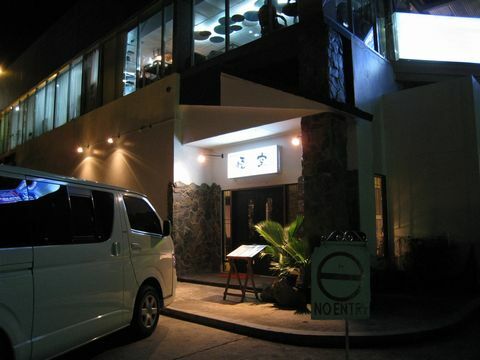 Comments : Nonki provides us Japanese food as a reasonable prices and also delicious, so you can enjoy your time with their meals and suitable ambience inside the restaurant. 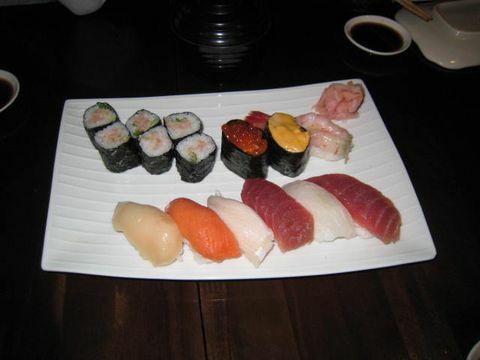 Advices : If you're weak of raw fish, you don't need to order it. 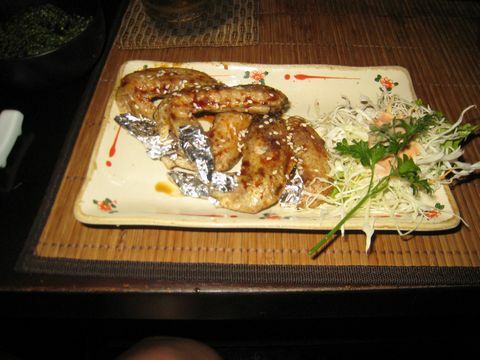 Japanese restaurants provide us a lot of Food, Grilled Fish, Fried Prawn and many not only raw fish. The restaurant has two more branches so you can enjoy your meal inside SM which is the biggest mall here in CEBU, inside SYKES which is call call center and main branch is located on AS Fortuna street. * I'm sorry that some menu doesn't show exact prices so I'll show you later. TAJIMAYA provides terrific delicious sliced beef which you need to broil on a grill by yourself, if you don't know how to cook you just ask staff. The name of TAJIMAYA is famous in Japan because of brand. These are Draft Beer which are very famous to drink in Japan. Especially most salaried workers like to order this kind of beer after work in IZAKAYA where you can drink and eat some food. 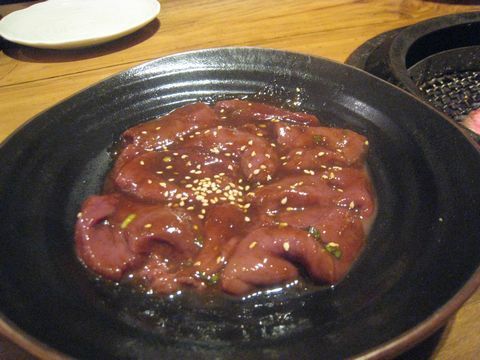 This is JYU KARUBI which most Japanese like to order because of taste and soft meat. 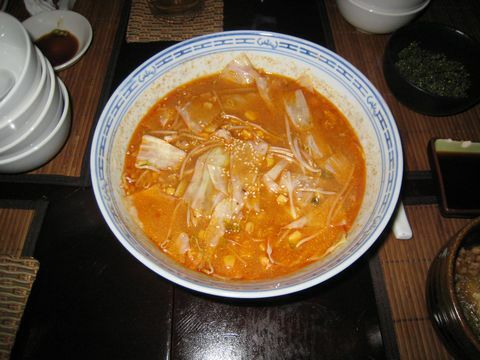 I can recommend you to order this famous one and it is popular to eat especially young ages. It's good to put special sauce which prepares by staff. This is REBA which is good to order especially Japanese because of bitter taste. 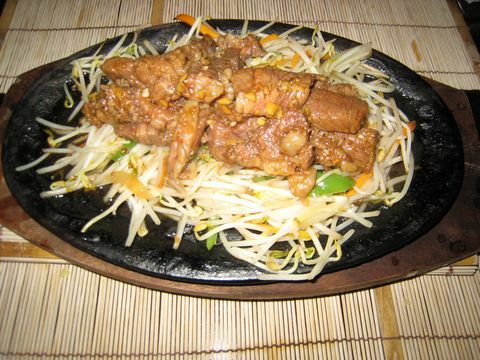 Actually it is liver of beef. It's good to put special sauce which prepares by staff. 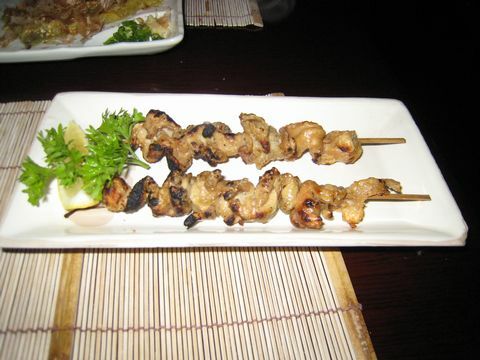 This is JYU HARAMI which is also delicious same as JYU KARUBI so I can recommend you to have it. 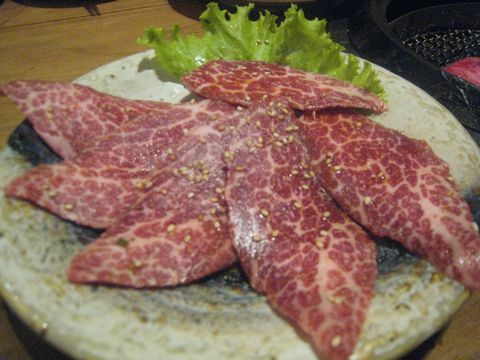 This taste is my favorite taste among YAKINIKU.It's good to put special sauce which prepares by staff. This is JYU ROSU which is also good to have. 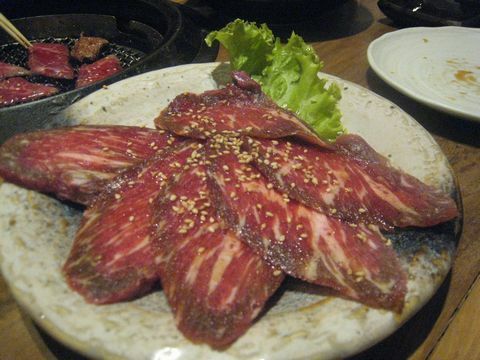 It is sliced sirloin. It's good to put special sauce which prepares by staff. 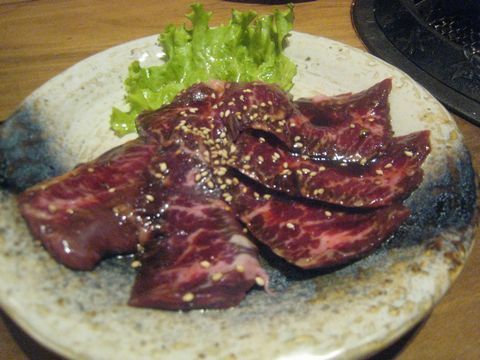 This is WAGYUU KARUBI which has an oily part a lot but it makes you happy because of sweet taste and it is melted when you get into your mouth. It's good to put special sauce which prepares by staff and also you just put a little salt that makes it more delicious. 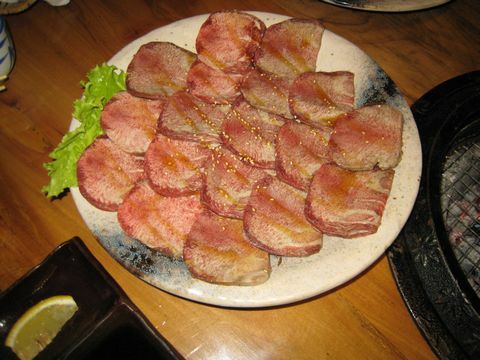 This is JYU GYUUTANNSHIO which is sliced tongue of beef, but the taste is really good and it's much better to put with squeezed lemon and a little salt. We ordered three JYU GYUUTANNSHIO this time. 550pesos a head. 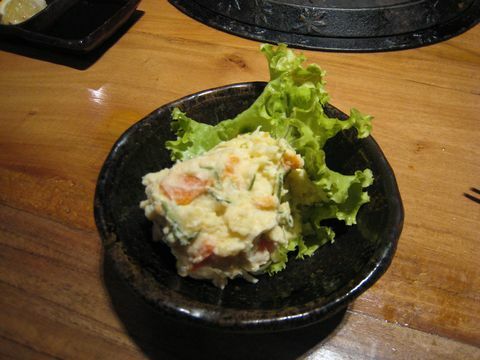 This is POTATO SALAD which is like mashed potato with vegetables and wasabi flavor. 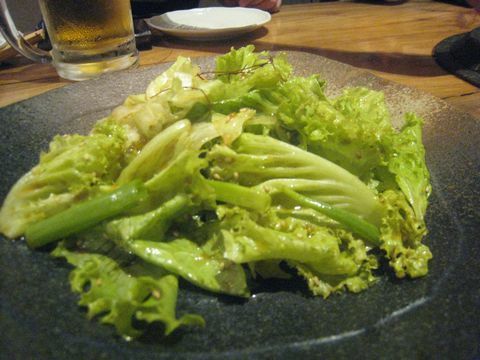 Wasabi is like horseradish which is a little spicy.It's good to order especially for adult. This is TAJIMAYA FRESH SALAD with sesame oil which is good to order for your health so it's much better to have it with Sliced Beef(YAKINIKU). 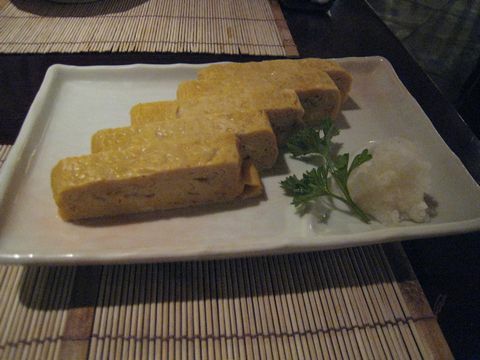 This is TAJIMAYA TAMAGOYAKI which is omelet with beef.It's good to order as an appetizer. This is YUKKE SASHI which you need to mix with raw egg before eating. Some Japanese people like to eat it as a raw. 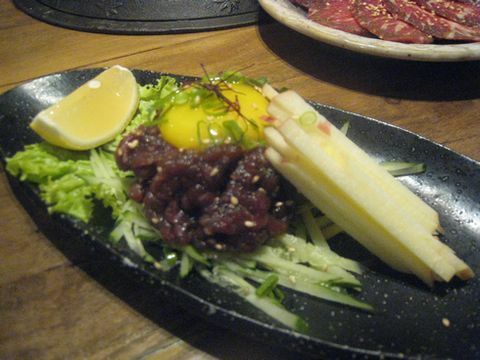 If you don't like raw beef you don't need to have it.It's good especially for Japanese　and also expensive. Comments : If you dine in this restaurant you'll be satisfied with all foods here in TAJIMAYA especially taste and flavor, I'm sure. Most dishes are expensive but It has a good value. 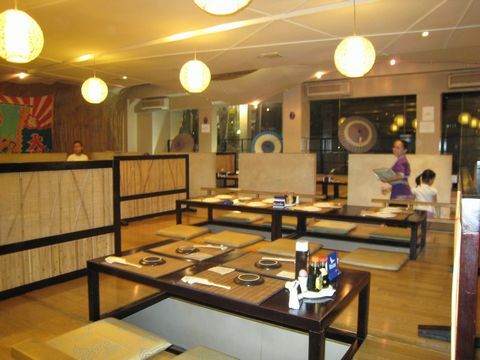 When you come to CROSSROADS MALL you can see many kinds of restaurants so you're able to choose your place. Advices : If you don't know how to cook you just ask some staff so you are able to know how to cook by yourself. 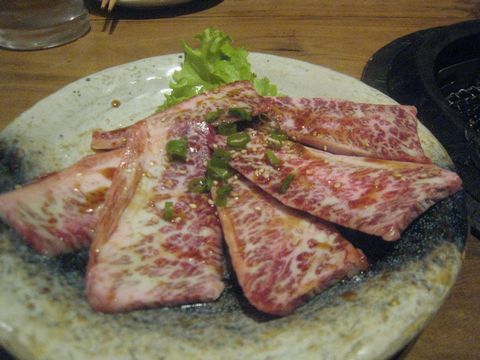 The restaurant provides really delicious meals especially YAKINIKU same as Japan. I'm sure you will be satisfied with them.